Owning a round cut diamond earrings is a dream. When a woman dreams of special presents from a love one, it always pictures having a diamond jewelry. This diamond jewelry exudes elegance and brilliance. Each stone is breathtaking. Diamond earring symbolizes not only of beauty but also class and sophistication. Not only would she feel so special, she would also feel so loved. 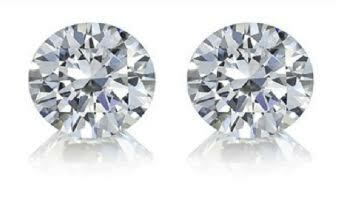 Show your love, trust, and loyalty with this diamond earrings. This round cut diamond earrings glimmers with beauty, adding a true hint of elegance and love. Imagine that beautiful smile you get when you give this diamond earrings to her. The goal is plain and simple. You want to make her feel special and make this special day very memorable. At Classic Diamond House, we have different cuts and outstanding styles to choose from. We can guide you to suit your taste and needs for your special day. Our goal is to make our customers very happy. Please allow us to be a part of your great memories. We will be very happy to assist you every step of the way to get only the perfect earrings and any jewelry for her. To get more details, simply visit www.classicdiamondhouse.com and we will be very happy to help you with your diamond jewelry needs.